Trexim lets you enter all types of expense claims and publish them straight to Xero or Freshbooks, as well as printing to PDF saving you valuable time and money. 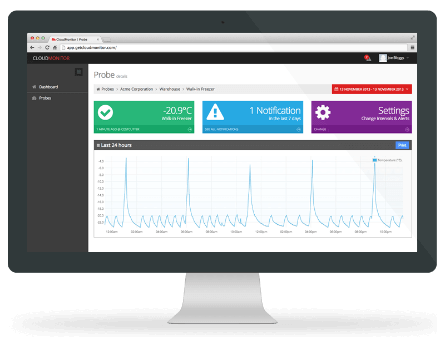 CloudMonitor is a clever hardware & software combination that continually monitors your temperature sensitive environment and alerts you by email, SMS, or phone call when there is a problem. 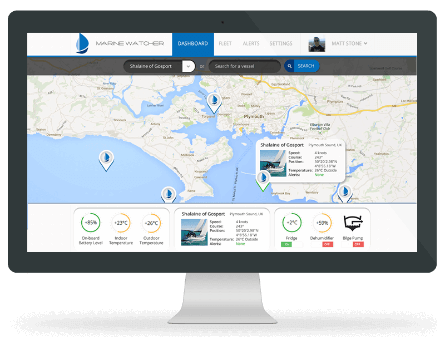 Marine Watcher lets you remotely monitor your boat's position, battery levels, temperature, humidity, and control your on-board devices such as the fridge, or de-humidifier. We create awesome apps that are simple to use and enrich peoples lives. All of our apps are built for an online and connected world using the latest HTML5 and CSS3 standards. Trexim lets you calculate fuel mileage using Google Maps, enter rail tickets, plane tickets, hotels, food, and any other type of claim you can think of. Once you've entered a claim you can print to a PDF or email it directly to your accounts department for authorisation. Marine Watcher continually monitors your boat's position, temperature, humidity, and even control devices remotely. You also get alerts by email, SMS, or phone call when there is a problem. Remote control of on-board devices such as Fridge, De-Humidifier etc. Rock & Scissor Enterprises Limited was incorporated in Febuary 2012 as a creative I.T. consultancy helping clients create awesome websites and web-based apps. We've evolved and grown to become a creative development company launching our own standalone cloud-based business productivity tools, as well as software/hardware combinations that use the latest internet based technology.